If 1960s fashion is your bag (baby), make sure to stop by London's V&A museum this year to check out their major exhibit celebrating the work of designer Mary Quant. Dame Mary pioneered and popularized the mini skirt, which came to symbolize the youthful, on-the-go attitudes in the early 60s. Revolutionary in hindsight, Dame Mary has described her process, and I think this can apply to artists working any media, as a focussed labor of love on the projects: "It was a wonderfully exciting time and despite the frenetic, hard work we had enormous fun. We didn’t necessarily realise that what we were creating was pioneering, we were simply too busy relishing all the opportunities and embracing the results before rushing on to the next challenge! Friends have been extremely generous in loaning, and in many cases, donating garments and accessories to the V&A which they have lovingly cherished for many years, so it will be fascinating to see what else will emerge! I am enormously grateful to have been involved with so many talented people whose contribution to that ground-breaking, revolutionary and memorable era will also be recognised.” Hear that, social media-era artists? The trick is to create, create, create, and make the work the focus. And I'm so pleased to see Dame Mary getting this special exhibit. 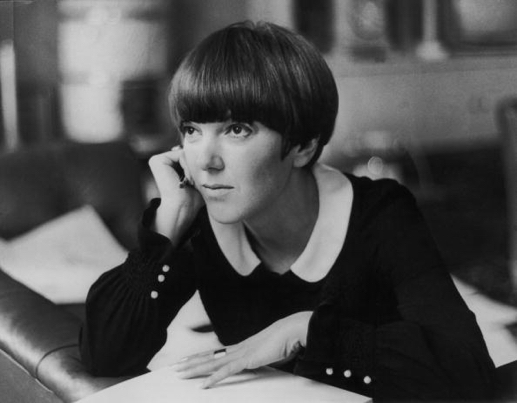 From the V&A press release: "Today, the V&A announces that it has been given unprecedented access to Dame Mary Quant’s Archive to curate the first international retrospective on the revolutionary fashion designer in nearly 50 years. Opening in April 2019, the exhibition will focus on the years between 1955 and 1975, when Quant revolutionised the high street with her subversive and playful designs for a younger generation, from hot pants, miniskirts and trousers for women to accessories, tights and make-up. The exhibition will bring together over 200 objects, the majority of which have never been on public display. It will reveal the real stories behind the myths to explore how Quant democratised fashion and empowered women through her determination, ingenuity and unique personal style, which she exported around the world. The exhibition will be drawn from the V&A’s extensive fashion holdings, which includes the largest collection of Mary Quant garments in the world, as well as the designer’s personal archive and important international loans. 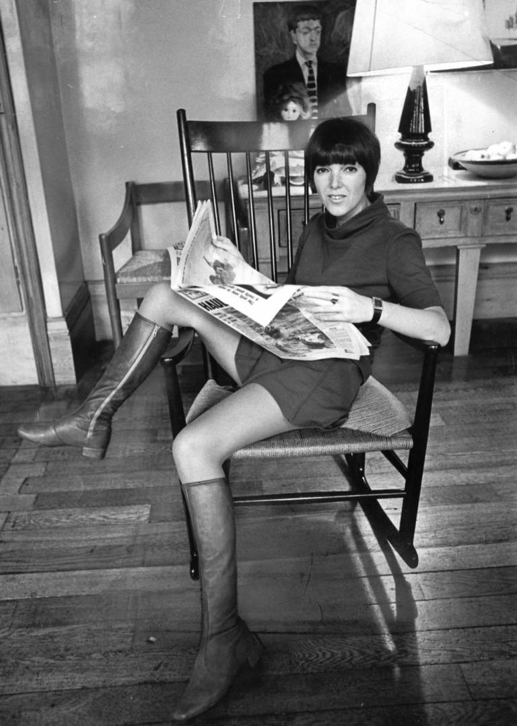 Jenny Lister, curator of Mary Quant at the V&A, said: “Mary Quant liberated fashion in the late 1950s and early 60s. Known for establishing high street fashion, inventing hot pants and popularising the miniskirt, she freed women from rules and regulations, and from dressing like their mothers. This long-overdue exhibition will show how Mary made high fashion affordable for working women, and how her youthful, revolutionary clothes, inspired by London, made British streetstyle the global influence it remains today.” The exhibition runs from 6 April 2019 – 8 March 2020. Don't miss it! More info at V&A and Mary Quant. 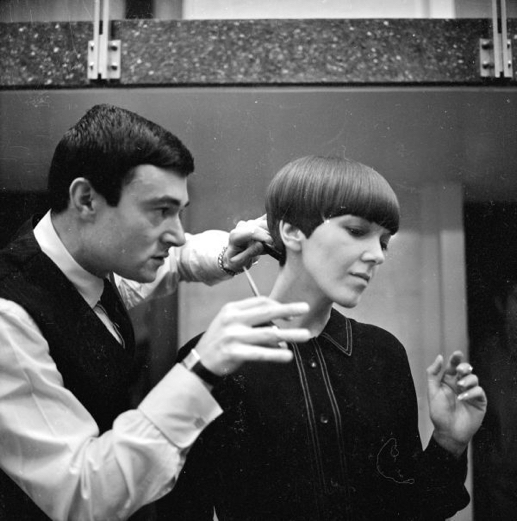 Images below: Dame Mary in the 1960s (at work and with Vidal Sassoon). In other news, I have a new book out (over 700 pages!) about one of America's legendary cartoonists. Check it out! Enjoy!